Siti 'Mi' Series worm gearboxes. Modular design, available as foot, Flange or Shaft Mounted Units. 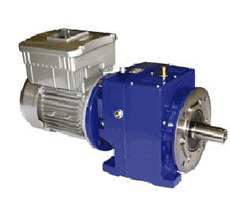 Ratios from 5/1 to 100/1 speed reducers or geared motors. 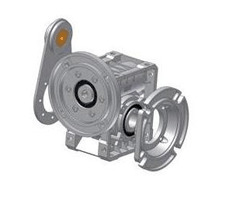 Siti 'Mu' Series work gearboxes. Modular design, available as foot, Flange or Shaft Mounted Units. 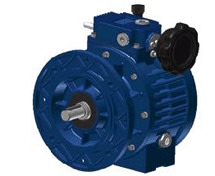 Ratios from 5/1 to 100/1 speed reducers or geared motors. 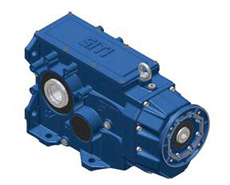 Siti helical gearboxes. Siti foot mounted geared motor. Available in Foot or Flange mounted versions. Siti modular design mechanical variators. 5/1 speed range. Can be fitted to work or helical gearboxes. 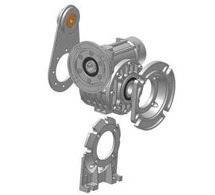 Siti 'R' series bevel gearbox available as two or three way units. Siti 'BH bevel gearbox. Various ratios and motors. For sizes beyond 80 we supply a sturdy cast iron housing that is also suitable for heavy-duty applications.